1 Cover potatoes with water in 4-quart saucepot; bring to a boil over high heat. 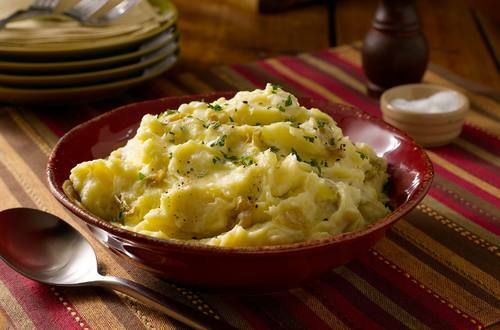 Reduce heat to low and simmer 10 minutes or until potatoes are tender; drain and mash. 2 Stir in remaining ingredients until creamy. (Additional milk may be added for desired consistency). Season, if desired, with salt and black pepper.